Renaissance epitaph writers worked out a substantial number of repeatable phrases (loci communes) to refer to the cases of death. They were employed both to weep the deceased (comploratio) and to create the various motifs of consolations (consolatio). In the former, epitaph writers referred more readily to the anthropomorphic vision of death as a person (mortis persona), which was crystallized at the decline of Middle Ages, and described its appearance and actions. The phrases of consolation were introduced when death was seen not as a specific person, but as a phenomenon. The building of consolatory phrases was often accompanied by the circumstances of the demise of the person to whom the text was dedicated. The death could also be considered good (mors bona) when it was foreseen, i.e. when the person prepared himself for his death and passed away surrounded by his relatives or by someone he loved. Moreover, death could be one’s praise (mors pulchra) when the person died doing his duty, especially defending his country and religion. “Homo inquietus” – “homo ardens” – “homo viator”. On the Augustan Inspirations in Polish Baroque . A fashionable and revealing hermeneutics of Old-Polish texts directed at history of ideas or mentality makes it possible to situate the baroque literature in the context of an interplay of the various intellectual trends. One of them was the Augustan trend, permanently manifested n the culture of old epochs. The aim of the article is to present the anchorage of figures typical of baroque literature: homo inquietus, homo ardens and homo viator, in the Augustan mode of perceiving the world. It is in Mikołaj Sęp Szarzyński’s and Maciej Kazimierz Sarbiewski’s poetry that one finds the vision of a man in a constant anxiety and carried away from the Creator. Similarly, Łukasz Opaliński’s text A New Poet and baroque emblems are open to field of cultural signs having their roots, inter alia, in Augustan thought. The article also evokes Stanisław Witwicki’s Abrys, in which elements of Cartesianism are mingled with the reflection of the Bishop of Hippo. In his article the author presents a polemic with the readings to date of the baroque poet, especially with those which regard this poetry as “cold, sophistic monologue,” seeing in it mostly formal perfection, almost geometrical precision and virtuosity, and above all artificiality, and in which Morsztyn is reproached with emotional dryness, indifference, and coldness. The author formulates a hypothesis that Morsztyn’s poetry is presumably not courtly deceptive appearances but an attempt to display the senses and truths hidden under those appearances. He wants to prove that the key to this poetry is “the varying degree of authoritativeness of the thematized and implied information, as well as the information of different sending planes.” Refinement of the play into which Morsztyn invites us is nowadays often unclear and the paradoxes which we encounter during readings prove irresistible. Did the author of Lute plan such reception of his work? Wacław Potocki is a baroque writer-landowner, who often wrote about nature, among other things about the forest (circa 250 pieces). The forest, in his view, is regarded either as a real space (nature) or a metaphorical one (culture). In both instances Potocki points at advantages and disadvantages of a man set in the forest. He highlights the former ones, especially the chance of seizing meat and furs as an effect of chasing (in which he sees the surrogates of the war, and which he regards as a dignified activity). Also, though not often, he notices the aesthetic values of the forest and maintains that its beauty, manifesting in birds’ singing, proves the grandeur of the Creator. Simultaneously the writer signals the dangers for a man who finds himself in an uncivilized space: wild nature symbolizes the chaos (also moral one) being conductive to, for example, brigands and forgers, and signifying a metaphorical space in which a hunter-Satan waits for a chance. The article is an attempt to (and a proposal of) a new reading of Krzysztof Kamil Baczyński’s poetry. Initially, analyzing the ways of functioning of the romantic tradition and its different faces in the Inter-War period – the epoch which shaped the young Warsaw poet – the author starts a polemic with the legend of “second Słowacki”. Granted the existence of reception stereotype, according to which Baczyński’s references to the romantic tradition are made mainly to the author of King-Ghost, the author maintains that it is advisable to find in his poetry also (and presumably above all) the traces of Mickiewicz. The author thus carries out an analysis and interpretation of two ballads: Baczyński’s Chase and Mickiewicz’s Water Nymph. The conclusion leads the author to the statement that with great certainty the romantic tradition in Baczyński’s poetry develops via dialogue and polemics with the author of The Forefathers. The article in question introduces into the problems of Zbigniew Bieńkowski’s artistic creativity. The belief of the artist’s crucial role in society and the conviction that poetry should constantly enter the domain of non-poetry which is to focus on the already not described issues of its epoch, was taken over by the author of Matters of Imagination from the experience of the Cracow “Vanguard.” Bieńkowski’s aesthetic views, however, have also a reference into long tradition. The poet refers to modernistic conception of the world and the man and – like Young Poland poet – in his attempt to describe the ontic structure of the man, he resorts to the notions of “ghost” and “soul” (calling them “spiritualities,” he is fully aware of their stylistic characteristics). 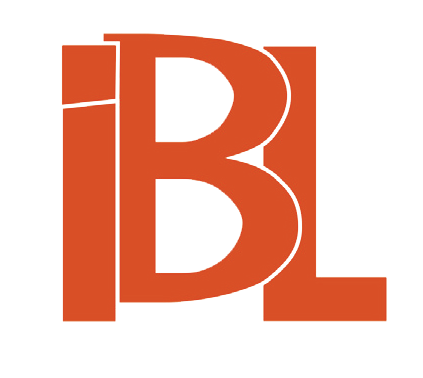 Bieńkowski’s references to Julian Przyboś and Bolesław Leśmian – both poets’ literary forerunner – are analyzed as most important intertextual relationships. One of the fundamental problems of Tadeusz Różewicz’s poetry is the issue of resistance offered by the experience of the body’s existence, its suffering and desire to the institution of literature. Power and violence of literature make up Różewicz’s “totalitarian” order, which needs to be disrupted by a tough work inside the discourse, and which breaks the determined conventions of expression. This gesture of emancipaton by the author of Anxiety is reflected in The Soul, in which the borders between genres and literary types are blurred. The text under consideration is a textual hybrid in which the language of desire is freed by the death of a beloved woman and subject set exclusively against the absent lover. Różewicz’s text depicts an irreducible dimension of desire. Writing becomes a stage for expression of both the painful loss and of longing for eternally dragged away and impossible presence. In the article I analyze the conception of the tradition expounded in the manifestos What is classicism? and demonstrate which strategies the poet utilizes in order to quit the alienating nature of language. Most effective proves this mode of constructing of the expression which, after Lacan, I call the paradox enunciation. The author of Thema Regium attempts to fake the metalinguistic approach enabling him to develop a fiction of being outside of language, and to convince us that he says what he actually wants to say. In this view, he disclaims Paul de Man’s concept of the irony. Rymkiewicz is consistent in his use of pastiche style, which allows him to adopt the position of the Master that grants him one of the most marked differentiations. The article presents a comparison between Adam Mickiewicz’s Sentences and Remarks and Angelus Silesius’ Cherub Wanderer. The latter became in various degrees a source of inspiration for the Polish poet, who prepared its translations and paraphrases. The records comprising the present article lists the successive manuscripts of Mickiewicz’s works bring pieces of information on the state of research (the relationship in question has been troubling scholars for 130 years), and includes commentaries describing the character of the investigated relationship as well as the manifestations of Mickiewicz’s originality with reference to theological differences and attributes of poetic language. 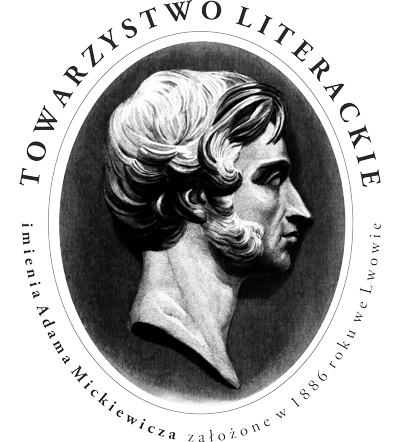 In the total of 165 Mickiewicz’s epigrams the article indicates 95 in which the similarity in question is observable, which is a fair greater number than the previous establishments. In the first part, the paper informs of the so far unknown copies of epic poems (There stands a bent tree after each half mile, [Master Thaddeus], [Attempts at a philosophical epic poem]) and copies of Juliusz Słowacki’s poems. The copies in question, made by Zygmunt Szczęsny Feliński, are deposited in Ossolineum Library (No. 9899/II) and known to publishers as manuscripts containing texts which belong to second rhapsody of King Spirit. In the second part I present the text (and its variants) of 14 copies which were not included into the edition: J. Słowacki, Wiersze. Nowe wydanie krytyczne. Prepared by J. Brzozowski and Z. Przychodniak. Adam Mickiewicz University Publishing House. Poznań 2005. The text is a review of Katarzyna Kabacińska’s work on the ways of spending free time by children based mainly on Enlightenment sources. The text analyses one of the most comprehensive monographs on the problems of tragicality, tragedy and the tragic, which have appeared in Poland in the last few decades. The contributors, representing almost all Polish academic centers, give multiple – aesthetic, genre, and philosophical – interpretations of meanings of the issues in question. Conclusions drawn from the studies seem important and valuable. The subtitle of the book under revision – A Dozen Studies and Sketches on Romantic Images of the Sea and the Exotic – comprehensively informs on its content. The first, most detailed sketch compares sea pictures presented in Polish romantic literary works with the analogous ones found in medieval, renaissance, baroque, and enlightenment literatures. The following papers present the contribution of Adam Mickiewicz, Juliusz Słowacki, Zygmunt Krasiński, Wincenty Pol, Aleksander Podgórski, Józef Ignacy Kraszewski, Henryk Jabłoński, Maria Konopnicka to Polish marine fiction. Another sketch Bachórz devotes to 19th century reception of Louis Camões. The book by Ewa Kołodziejczyk under revision is an attempt to reconstruct the aesthetic world view of Józef Czechowicz – one of the most important Polish man of letters of the Interwar Period. The methodological instruments used here resort to Ryszard Nycz’s works and his key concept of broadly understood modernism literature. This approach allows to view Czechowicz’s work in the new light and to expound such plots of the poet’s artistic creativity which have not been sufficiently problematized and analyzed. Using the categories of “clerk” and “engagement,” Jan Zięba, the author of the book under consideration, reconstructs the critical program of Stefan Napierski – an outstanding but forgotten writer of the Inter-War period – in the context of Polish and European modern criticism. The text is a review of one of the most important studies on the theory and history of Polish modern lyric, the origin of which the researcher seeks yet in 19th century poetry by Adam Mickiewicz, and the development in the different types of 20th century literary expression of Tadeusz Miciński, Bolesław Leśmian, Julian Przyboś, Czesław Miłosz, Tadeusz Różewicz, Stanisław Grochowiak, Anna Świrszczyńska, and others. A significant part of the considerations is devoted to the problems of understanding of modernism and the essence of interpretation, differently approached by the representatives of structuralism (Janusz Sławiński), deconstruction (Jacques Derrida, Michał Paweł Markowski), and closest to the position occupied by the author of pragmatism (Stanley Fish). The review highlights the originality and intellectual richness of Michał Paweł Markowski’s book, focusing mainly on the philosophical discourse, but also psychoanalytic (Lancanian) one, and raises the issue of Markowski determinations’ scope of validity for contemporary Gombrowicz studies. The book by Mateusz Kanabrodzki under revision is an attempt to find a new key of interpretation to texts by Georg Büchner, Witold Gombrowicz, Miron Białoszewski and Helmut Kajzar. The researcher focuses on the issue of touch and border space between the body and the world, which becomes for him a certain theatre. The book by Adrian Gleń „W tej latarni…” Późna twórczość Mirona Białoszewskiego w perspektywie hermeneutycznej under revision is an attempt to look at tha last phase of Miron Białoszewski’s artistic works. 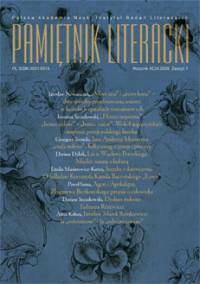 Gleń resigns from autobiographical and linguistic approaches in favor of hermeneutic one. Most important categories used by the author are subjectivity, subject–object relationship, dialogue, man – the sacred relationship. They allow to reach the so-called truth of the work defined by the author with resort to Martin Heidegger’s conception. The review analyses two monographs by Tomasz Cieślak-Sokołowski and by Jerzy Kowalewski on Janusz Szuber of Sanok’s (born 1948) poetic writing. Cieślak-Sokołowski’s work is designed a more proper estimation. In Jerzy Kowalewski’s one the reviewer finds a number of serious errors, namely improper analysis, simplified interpretation, missed literary history generalizations. 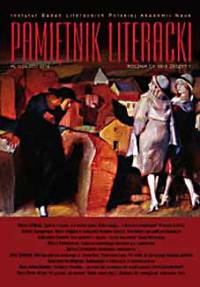 The book in question analyses the artistic creativity of one of the most illustrious representatives of the Polish literary song. The author commences with a statement that Kaczmarski’s lyrics, both on the level of the form and the content, is distinguished among the average realization of the genre. Analyses of the individual text only add to this claim. References to other works of literature and works of art, the presence of metaphysical threads, and the language make the texts incline towards high culture registers, to poetry. Professor Janusz Pelc (1930–2005), to whom the obituary was dedicated, is an outstanding Polish scholar, researcher of Polish renaissance and baroque literature, editor, European emblems expert, comparatist, and author of a great deal of book on 16th and 17th century.